In a large skillet, cook the sausage, onion and green peppers until the sausage is cooked thoroughly. Place the cooked sausage, peppers and onions on a plate and set aside. Add a tablespoon of oil into the bottom the skillet and fry the eggs until cooked as you desire. Mix together the cream cheese and salsa. 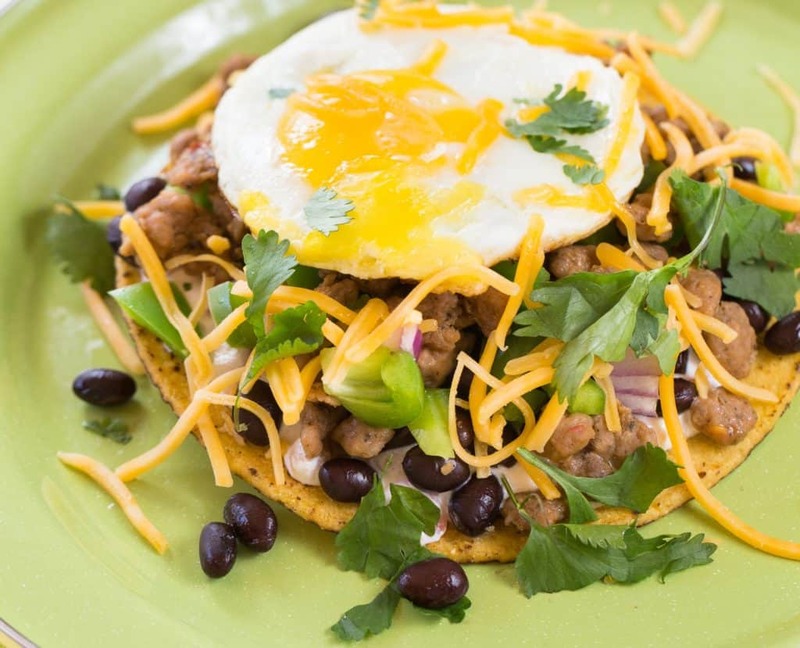 To assemble the tostadas, simply smear the cream cheese and salsa mixture onto the tostada shell, top with sausage mixture, sprinkle with cheese, black beans and top with a fried egg.